Queen’s Bohemian Rhapsody film soundtrack is set to be released as a 2LP set February 8th 2019. 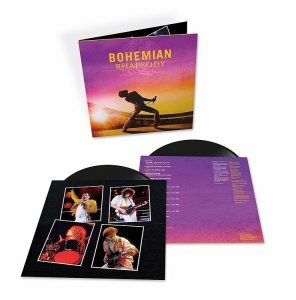 The 22-song soundtrack album, produced by Brian May and Roger Taylor, features the first-ever release of audio tracks from Queen’s legendary performance at Live Aid as well as other rare live tracks and their biggest hits. Rolling Stone hailed it as “more than just a greatest hits,” praising it as, “a fun imaginative way to relive the band’s genius.